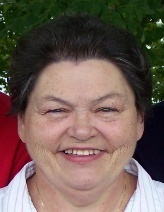 Patsy Lynn Love, 69, passed away at 11:30pm, Friday, March 29, 2019 at Newport Medical Center after a long term, lingering illness. She is preceded in death by her father, Rev. Eugene Clark Winstead; grandparents Elmer and Mamie Winstead and Clarence and Bertha Jones; and nephew Matthew Clark Winstead whom she loved dearly. She is survived by her husband of 50 years George W. Love of Morristown; sons, George “Mark” Love, Avery “Chad” Love, also of Morristown; mother Edna “Faye” Winstead; grandchildren, Michaela Faith Love, Marcus Creed Love, MacLeod Case Love, Magnolia “Maggie” Grace Love, Kendall Rayne Love, all of Morristown; Alyssa Marie Love of Cookeville, Bryleigh Jordan Love of Corryton; sisters, Pamela (Hugh) Holt, Dawn (Gary) Poythress of Morristown; brother Toney (Jean) Winstead of Knoxville; nieces, Natasha Sartain of Tazewell; Sydney Poythress of Morristown, Cynthia (Steven) Brown of Indiana, Crystal Holt of Knoxville, Sarah (Jeff) Farmer of Morristown; nephews, Byron Johnson of Knoxville and Austin (Berenice) Deering of Bowling Green, KY. She also leaves behind several cousins, great nieces and nephews and her best friend and sister-in-law Brenda Love. The family will receive friends from 6:00pm – 8:00pm on Tuesday, April 2, 2019 at Fairview Bible Baptist Church with the funeral service to follow at 8:00pm. The reverends Jon Sims and Hamp Wooten will be officiating. Graveside services will be at 11:00am on Wednesday, April 3, 2019 at Mountain View Baptist Church Cemetery in Jefferson County. Allen Funeral Home is assisting the family with the arrangements.